1. 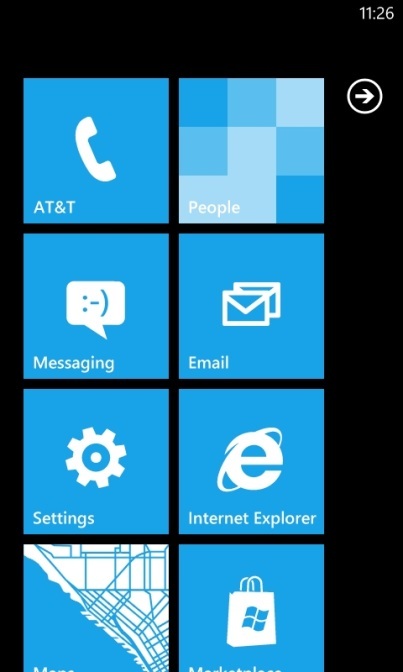 Tap Settings, located on the Start screen of your Windows Phone 7 device. 2. 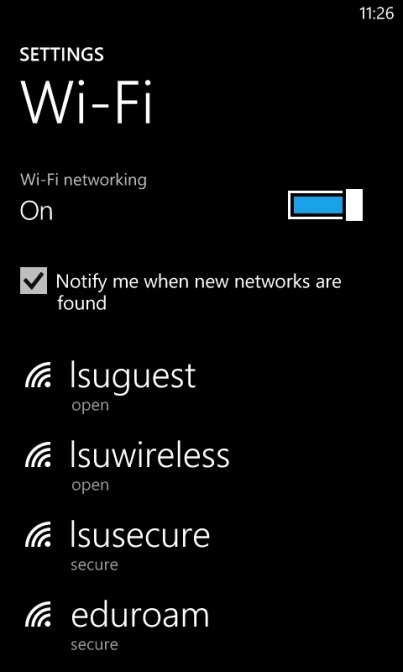 Tap Wi-Fi, located under Settings. 3. Tap eduroam, located under Settings. 4. Make sure that Wi-Fi networking is ON. 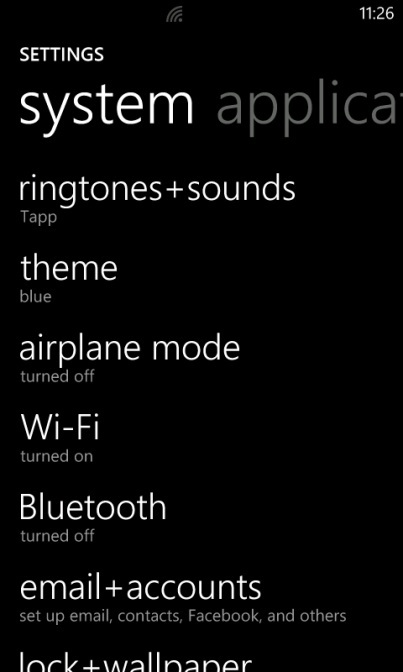 If Wi-Fi networking is OFF, tap the switch to turn Wi-FI ON. 5. 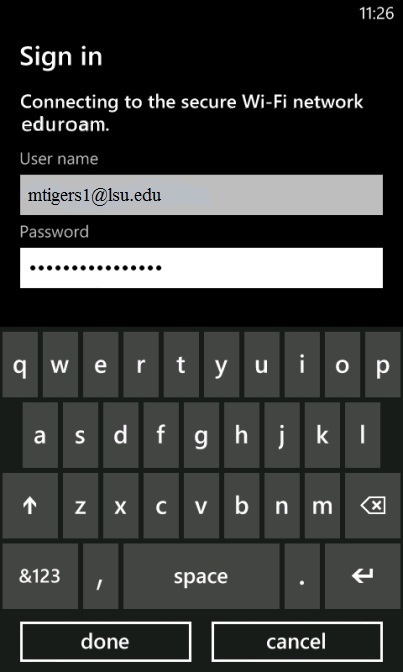 Enter your PAWS ID (include @lsu.edu) & PAWS Password, and then tap Done. 6. If you see the word 'connected' under the eduroam network, you are successfully connected.